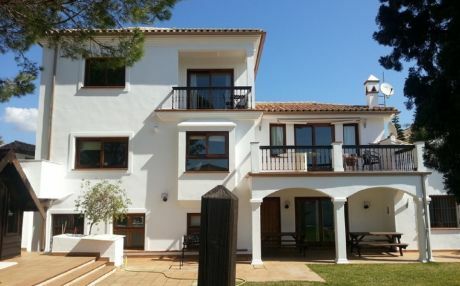 In the south of the Peninsula, Marbella is an emblem of the most chic side of the Costa del Sol. 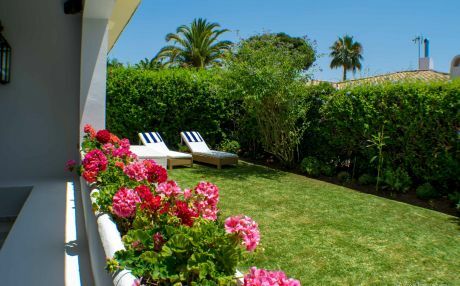 Thanks to its warm climate all year round, its beautiful beaches and its great leisure offer, Marbella has been a star destination for tourism for years. It is a perfect balance between modernity and tradition. Touring the historical center of Marbella is to go back in time into the distant fishing village that once was. It’s winding streets and houses of pure white adorned by balconies with flowers, alternate with the Roman and Arab heritage. A good examples of this are Castillo y la Muralla de Marbella del s. XI, la Iglesia de la Encarnación del s. XVI, la Casa del Corregidor and Hospital de San Juan de Dios, both erected by the Catholic Monarchs. The walk through the city takes us to places as emblematic as the Plaza de los Naranjos, where we can taste the typical fried fish, or to Avenida del Mar adorned with bronze sculptures of Salvador Dalí, or Parque de la Alameda. For art enthusiasts, Marbella has Museo del Grabado Español Contemporáneo where we can see works by artists such as Picasso, Joan Miró, Antoni Tàpies or Antonio Saura. Marbella is an ideal destination for sports. Its boardwalk is perfectly designed for cyclists, runners or skaters. The hikers can also enjoy nature with routes and marked trails in the mountain of La Concha, Sierra Blanca, Sierra Canucha or Sierra de Las Nieves. The 23 beaches of crystalline waters of Marbella, make it a very popular place for water sports such as diving, canoeing or sailing. 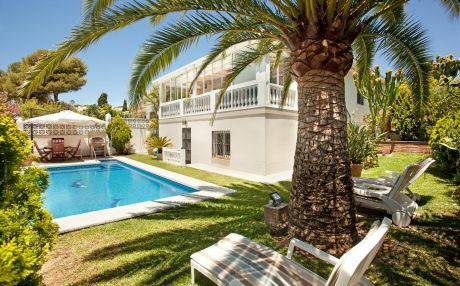 Marbella is a city that besides offering party, glamor and celebrities, is also surprising for having preserved its character and Andalusian charm. The ingredients that make it up are an exuberant nature, an amazing gastronomy, an interesting historical patrimony and its 26 km of coast with beaches that take your breath away. Bounty Beach: fine golden sand, palm trees, clean water and sun loungers are the unmistakable elements of the famous Bounty Beach. Alicate: an extensive beach with thick sand located in an urbanization of the same name and famous amongst visitors. 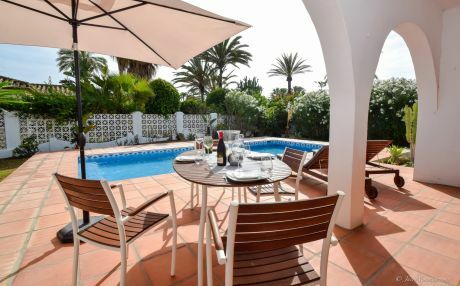 Hermosa: a little more than ten minutes from the center of Marbella, we find this small beach of clean and shallow water, perfect to go with the family. 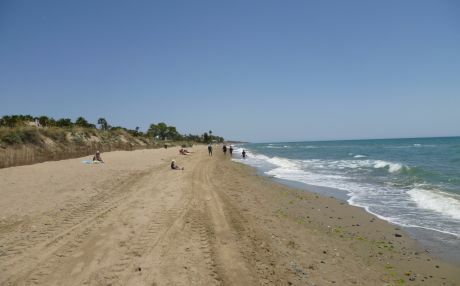 Real de Zaragoza: this beach is one of the most extensive ones in Marbella, with crystalline waters, fine and toast sand. Being more distant from the urban nucleus, this beach is a good place to find tranquility and rest. Nikki Beach: For those who wish to rub shoulders with the jet set, this beach is one of the most exclusive clubs on the Costa del Sol. A rocky environment of transparent waters, combined with parties, glamor and champagne make this place a real privileged location. Nagüeles: with turquoise waters, white sand and located on Milla de Oro de Marbella, Nagüeles beach is one of the most exclusive areas of the Costa del Sol. Nueva Andalucía: In Puerto Banús we find this spectacular beach, also known as El Duque, formed by small coves with rocky areas. Its sand is thick and has a beautiful promenade. 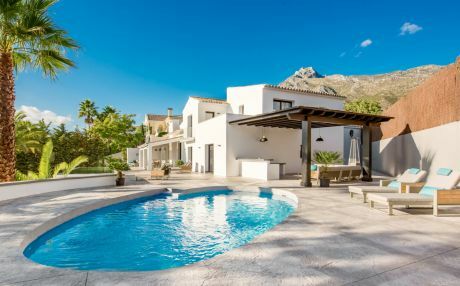 If you want to travel with a group of friends or with your family, it is best to rent a villa with private pool or a chalet that offers you the freedom of schedules and the comfort of an independent house. 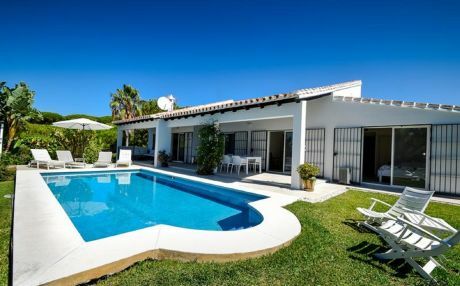 Marbella is a magnificent destination with residential areas where we can find a large number of holiday homes and chalets. 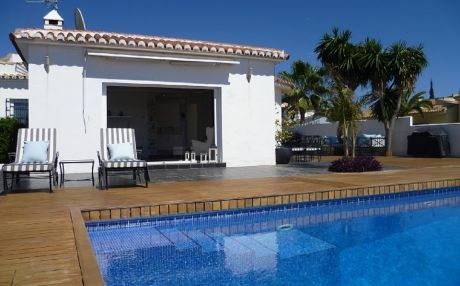 In our website we have a large selection of villas in Marbella in which to live an exclusive vacation in the Costa del Sol.